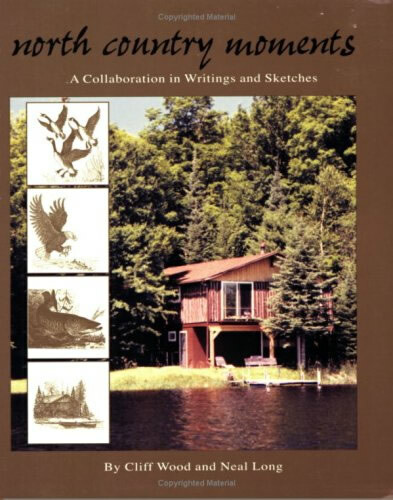 A journal of pen-and-ink sketches and written reflections from the lakes and woodlands of Wisconsin Northwoods. Being in the North Country leads us gradually to feel the undertow of its deeper time . . . to see the passing moments in nature and the brief dramas of our own lives against the background of a glacial era, with its sudden exposures of vast bedrock time below. A celebration of the extraordinary beauty to be found with ordinary creatures within the context of their habitat. North Country Moments is enthusiastically recommended browsing for anyone who has ever walked the woods and observed the living things and moving silences to be found there. This slightly oversize book is a production gem . . . One certainly need not be a Wisconsinite to appreciate this book, for it is replete with poetic wisdom of the natural world that transcends regional boundaries--a book for all haiku poets, and those who enjoy haiku, and also for those persons who have an affection for nature's variety of creations. Each new reading has confirmed my initial impression that this is a fine and lovely piece of work. What you have here engages the eye and the ear, the mind and the heart. It presents matters that are--or ought to be--of universal interest to thoughtful people in ways that are themselves fascinating in the variety of types and forms. It is simply very pleasurable to read and read again.